MARINE developers have a major question on their hands – how to reduce the cost of power generation while increasing yield. Solving it would unlock the door to commercialisation, but so far the question seems only to create more questions, more capital cost requirements and the need to attract investors. According to estimates by Sean Matthews of consultants BVG Associates, the industry, so far focused on proving 1MW (megawatt) devices, is to move to 5MW to 10MW arrays between 2014 and 2016 then from 2017 to 2020 to 30MW to 100MW arrays. To do so, spending will have to increase. Less than £100million is due to be spent to the end of 2013, he estimated. But from 2014 to 2016, there could be a step change, with spending increasing from £150million to £750million a year and then to £1billion a year after that – adding up to a total of £6billion in the next 10 years, from 2011, not including technology development spend. There are signs of the market opening. A milestone was achieved last month when Edinburgh’s Aquamarine Power secured debt from Barclays Corporate – believed the first bank to offer debt to a marine energy firm. This came shortly after global power and transport infrastructure group Alstom invested in Inverness-based wave energy firm AWS. But the door seems only to have edged open. This year saw RWE npower renewables drop its investment in another Inverness firm, Voith Hydro Wavegen, as the German giant faced issues over nuclear policy in its home territory. Projects are still progressing, however. Voith Hydro Wavegen’s project off the Western Isles is the first consented wave generation project in Scotland and the firm is behind Spain’s first wave generating plant, using oscillating water columns (OSCs) built into a breakwater. But there lies another issue for the investor. Jan Love, director of project finance for Barclays Corporate in Scotland, said they looked at construction costs, conversion rates, and operations and maintenance. But there is still little of such information – and plenty of competition for capital from offshore wind. What information there is is not yet encouraging. According to Stephen Wyatt, technology acceleration manager, The Carbon Trust, the cost of power generation for tidal is about 30p per kwh (kilowatt hour) with wave at 40p, compared to offshore wind at 15p to 18p. To compete with wind, firms need to cut costs. How? ScottishPower Renewables’ proposed 10MW demonstration project off Islay, the first consented tidal array, aims to minimise costs by using strong linear current but in a sheltered area and water deep enough to avoid navigation. Voith, however, hopes to minimise costs by avoiding submerging equipment. At its Spanish OSC project, all the equipment is above water and cable connection is along a sea wall. It is taking a similar approach on its Siadar project off Scotland, with equipment above the water accessed by a jetty. MeyGen, a consortium, wants to create a 20MW tidal array project between Stroma and the mainland using Atlantis and TGL machines (the latter owned by Rolls Royce) by 2014 and to increase its scale. The firm admits it is likely to be expensive, but it hopes scaling up will reduce costs down from £6.5million a MW. David Taasse, senior electrical engineer, said one of the issues was cabling and equipment such as switchgear or power converters, due to be a bigger issue than for offshore wind because of devices being fully submerged in strong currents and potentially needing to be fully recovered for maintenance. Nautricity, a University of Strathclyde spinout, has focused on reducing weight, so it had a parity on weight per MW with offshore wind, but also installation costs (16% of total costs), rotor and power train costs (30%) and the structure of the device (25%). 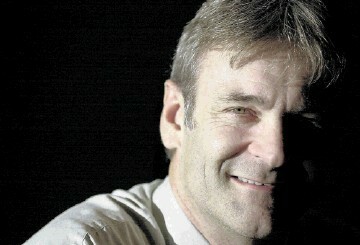 Cameron Johnstone, its chief executive, said the first generation devices were costing £8million a MW. The firm had a target, at this stage, of reducing that to £3.5million by reducing system components, sub systems and complexity. Nautricity’s tidal device is based on direct drive, contra-rotating blades and is mooring-tethered. Richard Yemm, chief technology officer at Pelamis, however, is confident the industry can follow in the footsteps of other industries that have driven down costs. Pelamis hopes to standardise as much as it can, including the power train, while increasing yield. They got a 70% yield increase for a less than 20% cost increase, he said. It also plans offsite maintenance, so repairs can be done more cheaply onshore, with their machines easy to remove and tow, he said. He is confident costs could converge with offshore wind by 2020, offering an investment alternative. What underpins it all is Renewable Obligation support post 2017, when the real growth will start to happen, said Neil Davidson, of Aquamarine Power. But this is under review, as are transmission costs. For investors to have confidence, this needs to be set out now, he said.